SPWe are gearing up for Spring on the farm the weather has kept everything dormant for such a long time we are finally seeing things greening up - Market Days will start on 4 May at Havre De Grace we will have several special events coming in May. thanks to everyone who came out for our Spring Open House - great seeing so many new faces! 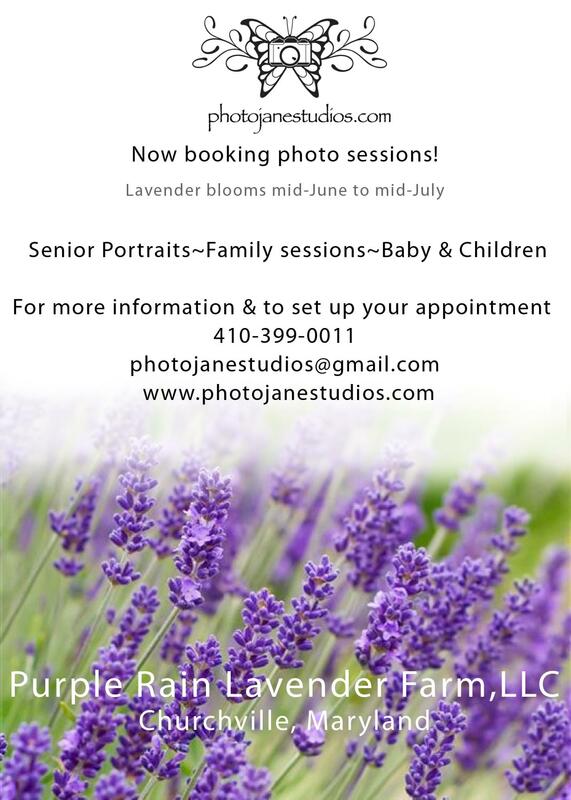 Purple Rain Lavender Farm is a family owned farm just outside of Bel Air nestled close to the Susquehanna River and near the lovely town of Havre De Grace. 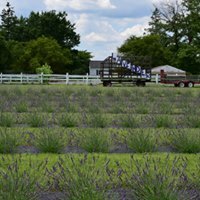 The Chesapeake Bay presents a unique micro-climate for farms in Harford County making growing of many lavender varieties challenging. We grow both internedias and augifolias and are continually trying new varieties of lavender in our area. We have been blessed to live on this land and carry on a tradition of farming within our family. The purple fields are a beautiful sight when in bloom and our recent additions of many flowers, perennials, trees, and shrubs make for spectacular gifts for the senses throughout the season. Farming is our passion but, we do work off the farm as well during the week, so we appreciate your understanding as we balance schedules for markets, special events, and farm stand activities as well as family activities. We are a small family farm and enjoy with the community to bring flowers, farming, and friendship on our little slice of heaven, we post our open times on our website and facebook page and have a variety of events. We also do event coordination and DIY Wedding support and wedding flowers. Our facebook page is a good source for what's happening and you can always email us questions or interest topics on flowers and lavender. We are blessed each day to do what we love and live in a great country.